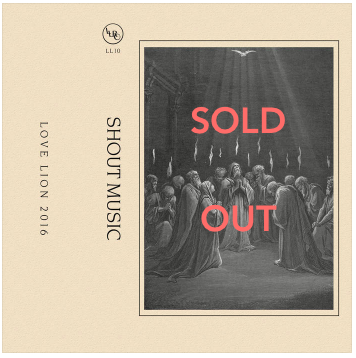 Officially, sold out of our Gospel collection "Shout Music" (fear not, you can still buy a digital copy via Bandcamp). Thank you to our early buyers for helping us donate proceeds to the Black Lives Matter movement. We also have a dozen or so copies of the Chicago-centric compilation Grid City available. We look forward to bringing you new music in the new year!